I know, I know.. this is the standard post for the start of any year and you have probably seen loads of them out there already, but I feel it is important to think about your goals for the new year and, even more importantly, to write them down! Over the past few years we have had what can only be described as a busy life - having moved house a number of times (one of those times to a new city), got married, found new jobs and had a baby. So, this year, I decided to try and keep things simple and, instead of changing things yet again, to concentrate on the things that I already have and work on improving and enjoying them. 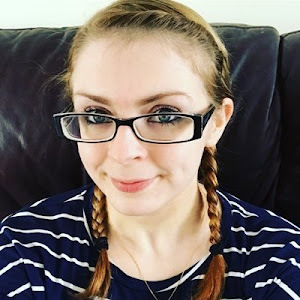 - My Family: If you have read some of my blog posts from earlier in the year, you may be aware that I struggled to come to terms with being a stay at home mum. I have always worked up until now and staying at home to look after Bo made me feel like I wasn't contributing anything to the family funds. However, after almost 11 months of being at home, I have finally come to terms with my new role and am determined to spend the next year enjoying this time and strengthening my relationships with, not just Bo, but my husband and my stepdaughter too. - My Home: I am starting to think we are serial house movers and not in a good way. In the 7 years we have been together, myself and my husband have moved a grand total of 6 times. That's nearly once a year! However, the house we are currently in is a lovely little house in a really nice area. Granted, it is a little smaller than what we are used to but it's well maintained, has a great garden for the kids and the surrounding schools sound like somewhere I would be happy to send Bo. This year, I would like to concentrate on improving this new home and really making it ours. - My Blog: I am also a notorious blog changer, changing the branding of the blog, the focus of the blog and generally everything to do about the blog left right and centre. My aim for this year is, instead, to keep the blog as it is and work on improving the quality of the posts. I have not announced my blog to anyone but my partner due to being slightly embarrassed and worried that they may think my writing is bad. This year I would like each and every one of my posts to be something I am proud of and am happy to put up there for everyone to see. After all, if you don't have complete belief in your own writing, how are you supposed to convince others to follow it too? So those are my three main targets for this year - not overly exciting or adventurous but hopefully helping us all lead a happier, more fulfilling life together as a family. What are your goals for 2016? Feel free to link any posts or let me know in the comments below! I have linked this post on Brilliant Blog Posts on the Honest Mummy blog. Thank you! I am rubbish at sticking to resolutions so let's hope "goals" work better!